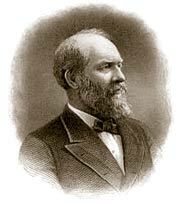 The James A. Garfield house was given the name Lawnfield by reporters in 1880. Up until then, the Garfield family called it "The Mentor Farm". 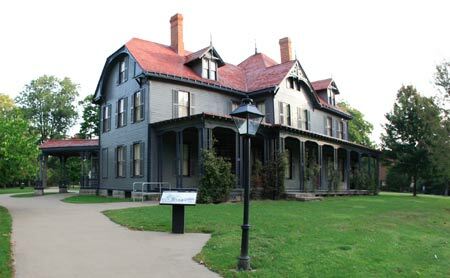 During Garfield's election campaign in 1880, he pretty much ran the campaign from his house and a small building behind the house that was equipped with a telegraph. There were so many reporters covering the campaign at Garfield's house, that there wasn't enough room at local hotels and boarding houses, so they camped out in the side lawn which basically a field, hence the name: Lawnfield. 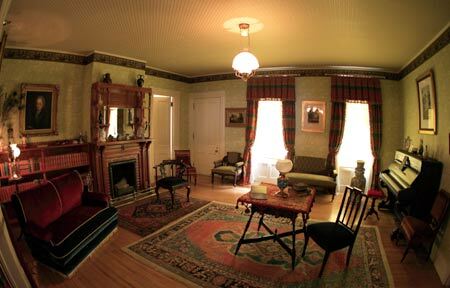 80% of the furnishings you see at Lawnfield today belonged to the Garfield family in the 1880s. The remaining pieces (especially textiles and rugs), were purchased by the National Park Service to augment the collection. In addition, ten original wallpapers were reproduced during the restoration of the house in the 1990s. Open Monday through Saturday, 10 a.m. to 5 p.m. Sunday, noon to 5 p.m., May 1 - October 31. November through April, Lawnfield is closed weekdays and open Saturday and Sunday, 12 - 5 p.m. 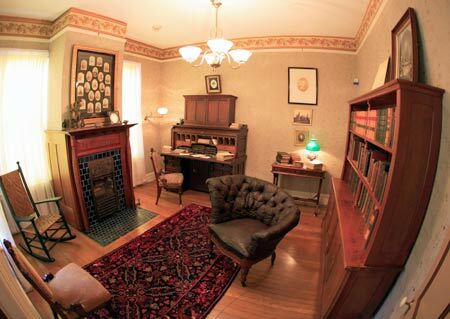 The last house tour leaves at 4:15 p.m. daily. Tours may be limited. About a block west of Lawnfield is a park called Garfield Park. Garfield Park was originally the summer home property of John Newell, brother of Helen Newell Garfield (the wife of Garfield’s second son, James R.). John Newell’s house sat where the swimming pool is today; his carriage house remains on the property and is used by the City of Mentor. The pond that still exists today was the wintertime spot for ice skating and even had a boathouse. The property became a recreation park in the late 1950s due to the efforts of Eleanor Borton Garfield, a former Mentor Village mayor. 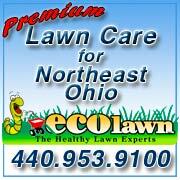 In 1980, it became the first public park in Mentor and was renamed in Eleanor’s honor. She was President Garfield’s granddaughter-in-law—the widow of Rudolph Hills Garfield.